Thousands of Floridians will head to Mar-A-Lago on Saturday to rally against President Donald Trump on the one year anniversary of Hurricane Maria hitting Puerto Rico. Buses will load up Saturday morning across the state to make the trek to Palm Beach County. Zoe Colon with Alianza for Progress will be on one of those buses. “We are sending a clear message that this administration has mishandled response to one of the worst tragedies and natural disasters that has happened in the modern day, and we were not treated equally as compared to other states with similar disasters,” Colon told Florida Daily. Colon went on to say although she was born on the US mainland, she has always felt like Puerto Ricans have been treated like second class citizens. The event comes right after Trump sent out tweets on consecutive mornings on the hurricane. “3000 people did not die in the two hurricanes that hit Puerto Rico. When I left the Island, AFTER the storm had hit, they had anywhere from 6 to 18 deaths. As time went by it did not go up by much. Then, a long time later, they started to report really large numbers, like 3000,” Trump posted on September 13. 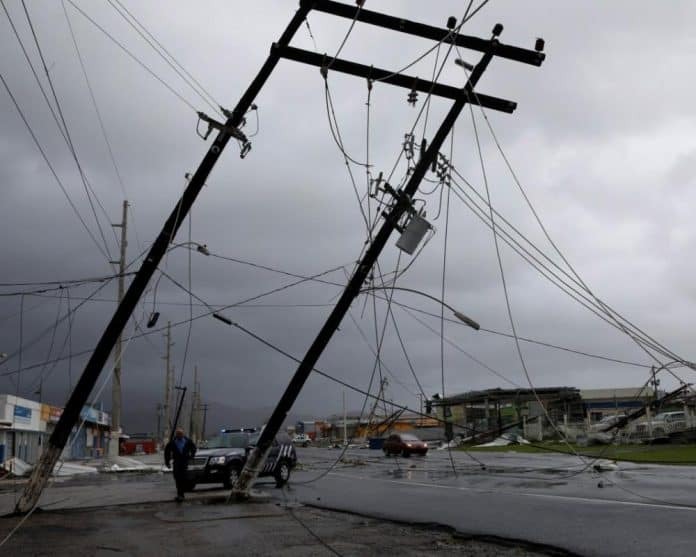 “This was done by the Democrats in order to make me look as bad as possible when I was successfully raising Billions of Dollars to help rebuild Puerto Rico. If a person died for any reason, like old age, just add them onto the list. Bad politics. I love Puerto Rico!” he added. On the morning of September 14, Trump took to Twitter again on the subject, quoting media sources on the matter. “‘When Trump visited the island territory last October, OFFICIALS told him in a briefing 16 PEOPLE had died from Maria.’ The Washington Post. This was long AFTER the hurricane took place. Over many months it went to 64 PEOPLE. Then, like magic, ‘3000 PEOPLE KILLED.’ They hired GWU Research to tell them how many people had died in Puerto Rico (how would they not know this?). This method was never done with previous hurricanes because other jurisdictions know how many people were killed. FIFTY TIMES LAST ORIGINAL NUMBER – NO WAY!” he posted. Those tweets created a firestorm of criticism from Puerto Ricans including Colon. She believes there should be a different, independent investigation of the numbers to come up with a death toll that is as accurate as possible. “People passed due to lack of medical care, access to medication. So what I think the president is alluding to is the small number in the days after, but not thinking of how not having light, access to medication, and appropriate medical care, and food and water was going to impact the elderly and the ill. I think it is irresponsible of him,” Colon told Florida Daily. The group will caravan to Mar-A-Lago from noon to 2pm on Saturday, then hold a rally from 3 to 7. Colon insisted to Florida Daily that the event was a rally or call to action, not a protest. “At the end of the day this is really not a protest. It is a combination of remembering those lives and also demanding justice for Puerto Rico,” she visit. The rally will feature several famous Puerto Ricans and cultural events including art and music.